Reputable report. Anybody else seeing it? No discernible pattern just yet. Yes, Woody, I have just experienced this error. The “retry” also failed with the same error code. Not sure how to proceed! Help! Windows 7, Home Premium, Group A.
i hid the update, any word on the issue? Aerosmith you will probably be waiting a few days at least for people to report it, and Microsoft to investigate it. Then they have to fix it. We want to thank you for testing the patch. Keep an eye on woody’s site. Eventually a fix, or a decision of what to do will be made. Hiding a problematic update is how it has always been done with Windows, that is, until Windows 10 came along. Looks like another bumpy month. I’ll be sitting on my hands waiting for the all clear. Fernlady yes. My friends and I wait until the week before the next patch tuesday when woody says to proceed. Thanks to the brave people that install one hour after the updates are released. Brave? Oh yes, you mean like the people who make a living testing parachutes? It won’t hurt anything to wait a while an see what is causing this error. You can hide the update temporarily or set your Windows Update to either “Check for updates but let me decide whether to download and install them” OR “Never check for updates.” When the problem is resolved, you can reverse those settings to your normal ones. I just installed it here on a Win7 and didn’t see issues. It was a slow install though. Do you need updates? Ultimately yes we all need to ensure our machines are up to date on patches. Do you need them today? Probably not. Today is testing day. MS-DEFCON is 2; unless you are a beta tester, don’t install current updates. Is this error being seen on install or afterwards? I have installed on a couple of Windows 7 machines in test environment and I haven’t seen any errors. Edit: Sorry, anonymous posters cannot add attachments. I registered now to add the attachment. This is the info if it helps. I also tried to fix the windows update, tried to manually update from the catalog, and deleted the download folder for windows update then tried to redownload. Same issue. There is a solution for the error 0x800FFF on Win7. See this post and the following discussion. The error occurred for me during the installation phase; no issues with downloading the update. More importantly, there was NO BSOD upon reboot. I was able to retry the installation of the update as often as I liked, even though the error code was the same for each attempt. I am guessing the affected Machines with kb4457144 are all x64 (amd64,64bit) or is this common to x86 (32bit) as well? Well it arrived on my Win7x86 machine yet to fire up the Win7x64 machines yet and as for Win8.1×64 never seems to any worries there YET! Yes, I am getting the error 0x8000FFFF on KB4457144 as well. Great! Are you running 32-bit Windows, or 64-bit? Anything odd about your machine? A wild guess… are you on an AMD machine? To anonymous that said, “Yes, I am getting the error 0x8000FFFF on KB4457144 as well. Great!” could you please give some information about your PC? Can we please have; OS, bit, CPU, and maybe Video (nvidia, ati, intel, etc. ), even brand of network card would help. It could be related to the OS, the chipset, the CPU (Intel or AMD) who knows, but we need a common denominator. Tried on Win7, group B, x86,x64, older hardware on Intel chipset… no problem. The machine is a VM, Intel, Xeon, 64 bit. OS is Windows 7 Enterprise SP1. There one can download either a .msi or a .exe file. The .exe file has only 32 KB instead of 320 MB. It seems that this .exe file is broken, and if windows tries to install a broken file this can not work. Maybe it would work to install the .msi file, but I didn’t try yet. The .exe file is bundled with the update KB 4457144 and is automatically executed when you download through Windows Update. If yoy are using the Catalog, download both files and put them in the same location (on the desktop or in a folder). When you double click on the .msu file (that’s the update) the .exe file is automatically executed in the process. You do not need to click on the .exe file. Yes, but if the same broken file that one can download as a standalone .exe file is bundled to be used in the automatic Windows Update method, then it would fail. Maybe this is the problem? It correctly should have approx 230 MB. You need both files. The .msu file is large, the .exe file is small. You only double click on the .msu file. You do not need to click on the .exe file as it gets executed automatically in the process of install of the .msu file. I understand, so is it that the exe file kind of starts the msi file in the Windows Update method? The instructions are given twice above. The .exe does not “start” the .msu file. You were instructed to NOT click on the .exe file. If you do not understand the instructions you should be using Windows and not the Catalog manual download/install. The Catalog is not for average users but for those who understand patching. I just tried putting the .exe (pciclearstalecache_7e856b95c514e1ec18de7263030237e8ef0160a8.exe) next to the .msu but I’m getting the same error. I also tried executing the .exe first, but I still get the same error on using the .msu. What is the source of this information? I’ve installed hundreds of msu’s and have never seen one that requires copying another file next to it. FWIW, I just installed 4457144 and 4 other updates on my Dual Boot (Win 10 Insider/Win 7 HP) Dell 1564 Laptop w/o problems. Of course I had a brand new Macrium Reflect Image before attempting this! Hmm… is this going to be another MS “oh, give us a couple of months and we’ll get around to fixing it” and then “nah, sorry, can’t be bothered” like the SSE2 issues earlier this year? Anything to push some more Windows 7 users onto Windows 10, so it seems. can any of those which failed for them zip and share C:Windows\Logs\CBS\CBS.log? Yes, seeing the exact error code on pre-prod testing VMs (ESXi 5.5, VM v10) and SOE hardware (Lenovo T470s, Intel i5), Windows 7 Enterprise x64. Both the standalone MSU installers from the Update Catalog and the cabs deployed through WSUS/ConfigMgr show the issue. I just installed KB4457144 in W7 x64 with intel cpu with no issues. But I realized something: I went to the system32 folder and sorted by modified date to see what files have changed, and 133 files updated, like the one that fixes the thask scheduler 0day, schedsvc.dll, have the actual date and hour I executed KB4457144, 2018-09-12 8:45. I thought every windows file (at least exe and dll) would have the real modification date, I think it used to be that way. Is this a normal behavior with cumulative updates? Hi, thanks for answer, so maybe something is wrong with my system? I have checked my other W7 x32 installation and does not preserve file dates either, so I think there is some tweak I have done that is causing this behavior. Maybe it is that I have moved c:\SoftwareDistribution to another partition and created a junction to it? So within 14hrs of release, patches have been rolled out to 1644 machines! Don’t you have VM’s on differentiating hardware devices to test on prior to rolling them out at your work? He’s talking about the August update, not the September one. Precisely. And that makes me wonder if this is something new with the September Rollup, or if we’re just seeing many reports of an old problem. The problem are slow ms-update-servers because of lightning-strike on 4th september. KB4343900 Installed ok the second time I tried. I’ve never had problems installing updates before. On my Intel Notebook, the installation without problems. On my AMD-PC, I will waiting for better times. Its not a virus issue, also, it would be pretty much impossible that EVERY user that cant update 57144 has a computer virus. Not seeing this error but after installing either the quality or security only patches I lose the ability to rename directories upon their creation. Rolled back and it works as it should. That’s a new one. I wonder if anyone else who has installed the updates successfully has put this to the test, or could do so? It would certainly be useful to know if this was a one-off. I have installed the Sept Rollup on one VM (Win7 Ult x64, Intel i7 Ivy Bridge) so far and I do not have that problem. Applicable updates installed; I have no problem renaming directories. Based on you guys not having the same problem I hit the search engine. Found others who have had the same problem in the past and a solution. So I reinstalled the security only patch (KB4457145) , rebooted – still had the problem. After backing them up I deleted the 5 registry keys identified in the fix, rebooted, now all is good. Whilst your comments are appreciated, and obviously helpful, I personally have no intention of ever embarking on the deletion of registry keys in order to get a Windows Update working properly. I’d rather bring forward January 2020 and stop all updating to be honest! I strongly recommend that those of limited technical knowledge like myself stay well clear of the registry. i will admit i have used windows 7 for years, since maybe 2012? and this is the first time i have ever not been able to get an update due to an error, so before we all panic lets assume its a issue they know about and will fix, also, i read what the update actually fixes, and i didnt even use or recognize half of the programs, like the first is windows media, i dont even think i have that. Also, for anyone who uses MSE) Microsoft security essentials) the update failed to load and slowed and pretty much made MSE non functional, while i was trying to install 4457144 i did a regular MSE update as i do 5 times a day, and it took literally 25 minutes to ‘search’ for an update, the second i ‘hid’ 4457144, it worked fine, updated in a few minutes as it should, so you see, its a error that is pretty severe, I’m keeping it hidden until next month. To clarify, my computer is Windows 7 x64 Home Premium with an Intel i5-2410M processor. So I am surprised to hear that only AMD processors are affected. But I tried very early yesterday afternoon and have not tried again this morning. I don’t think anyone yet knows what the common thread for failure is. That’s why information that you and others are providing is important. are their any blue screen reports for people who have been able to install it? Not seeing a problem on Win7/Ent/32bit (4 PCs updated). I ran into this issue updating Windows Server 2008 R2 systems using the the Monthly Rollup KB4457144. It failed on all servers with the 0X8000FFF error. Installing the separate updates works, but does not supersede the August 2018 Monthly Roll up. @anonymous: It helps to show that the updates you are referring to are for September. There are so many update issues causing problems, and many are NOT for September, so it makes it that much more difficult for an “illiterate” such as I, to try to make sense out of it all. its being reported on several websites, just ‘google’ kb4457144 error, its widespread. I was able to resolve this be uninstalling KB4343900. It reverts to KB4338818. Then I did a retry on KB4457144. I hope that MS fixes this. I am also seeing the failure on windows 7, 64-bit machines, intel. The machines had all other required updates prior to the failure. Monthly Rollup 4457144: Install successful 2018-09-12 12:00 (EST) after many failed attempts in August with error 0x8000FFFF. Windows 7 (64) Ult. Intel i7-3770. NVidea driver & card. I used windows update. Windows did it’s thing then did a double reboot. An hour later all is fine so far: no network device issue, no error 0x8000FFFF. I had first successfully installed the NET Framework 4.7.2 update (4457035) that also would not install since August. I checked if everything looked good, killed all the running apps (anti-virus, firewall, a File manager background process, etc. and went for it. I will follow up if any problem(s) comes up in the next day or so. The same thing happened to 3 2012 R2 servers as well. 0x8000FFFF error and it fails to install even after repeated attempts. I’m thankful for this forum, it helped me identify the problem which crashed my Windows 7. The cumulative update in August (4343900) caused BSOD, I had to hide it to prevent reinstalling. Now 4457144 does the same, my computer just had a BSOD. I uninstalled the update, but I wonder, will I have to do this every month? Will windowsupdate send me an update that crashes my computer every month? Windows Updates are CUMULATIVE. The next one contains the current one. But check out the thread here, it might help. Be sure KB 3177467 is installed on your machine. 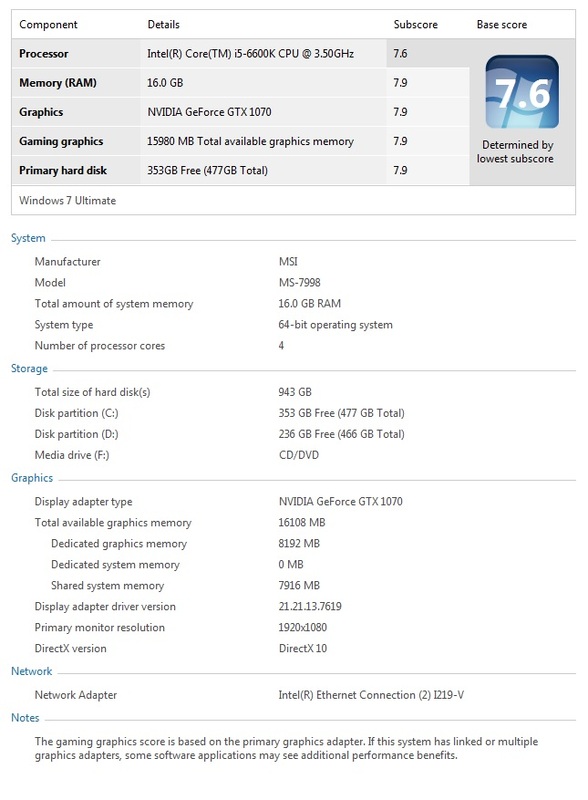 Two Win 7 machines Intel CPUs- no problems installing all of September updates. Reply #217204 did the trick on my problem Win7x64 machine. The other five worked fine. My Windows 7 (SP1, 32-bit) machine already has KB3177467 (installed back in October 2016) but fails to install KB4457144, so this solution doesn’t work for me. In fact, I haven’t been able to install any of the Security Monthly Quality Rollup updates since October 2017 (KB4041681). Anyone in the same boat? Before you think about KB4457144, first you need to resolve whatever it is that stopped your PC updating since last October. Try the Windows update troubleshooter. After running the update troubleshooter run Windows update manually. Some updates need to be installed in order. Windows should do that for you but, that means you may need to restart, run Windows update again (possibly more than once) before Windows is right up-to-date. If you are group B, you’ll need to work up which updates to hide each time. KB3177467 has a dubious history itself from looking at the top mentions in a google search. BSOD right after Starting Windows screen, every time. The only thing I can do is boot from DVD and system restore prior to updating to KB4457144. Now, my VirtualBoxes can’t start because of crypt32.dll. I wondering if a similar situation may occur when installing the KB4457129 cumulative update under Windows 8.1 without the KB3173424 servicing stack update for 8.1 could also cause a possible error 0x8000ffff message. I tried to install KB4457918, KB4457155 and KB890830 and got the BSoD and continuous dumps as system tried to restart. Having restored to last check point, the following weird stuff occurred – Network Services unavailable, Norton had to go through Base Filtering Services recovery, the time on the PC was advanced by an hour and the Printer drivers vanished. All now fixed but updates are well and truly hid! I tried to install KB4457918, KB4457144 and KB890830 and got the BSoD and continuous dumps as system tried to restart. Having restored to last check point, the following weird stuff occurred – Network Services unavailable, Norton had to go through Base Filtering Services recovery, the time on the PC was advanced by an hour and the Printer drivers vanished. All now fixed but updates are well and truly hid! First option: click on the erroron windows update. it will redirect you to the page with errors and solutions. there you see the error and the KB THAT AN UPDATE IS NEEDED prior this installation. Search internet again OR click link. Please see the solution for the problem you encountered here.